While we were making Valentines yesterday, Starboy couldn't resist the red tempera paint and insisted on painting his hands with the brush. 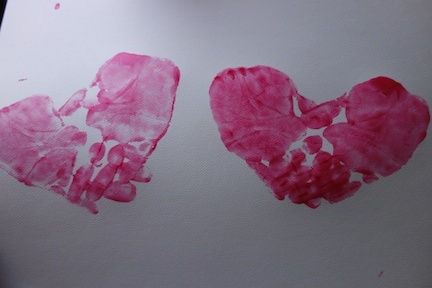 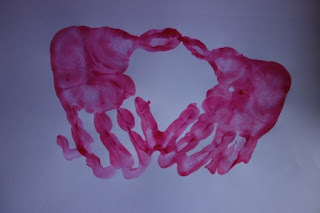 So we experimented with some classic heart hand prints. 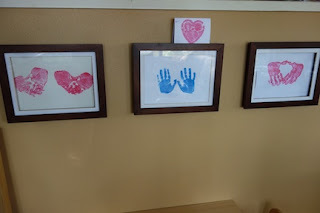 We have these great frames in our den that allow you to change artwork whenever you want. The whole front of the frame opens, and you can store up to 50 prints inside. 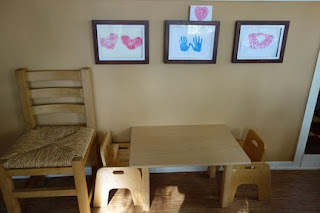 It's a great way to change the seasonal look of your home while keeping it simple.